I boot up my computer, run my MMO of choice, and start the raid finder which pairs me automatically with a group of 9 other people. This happens within five minutes of starting my computer. Then I am transported to a random dungeon with my group. The dungeon has one to three bosses and the entire thing can be run in 30 minutes or less. The bosses would be randomized so that I never encounter the same boss twice. With random bosses I would be able to create strategy instead of simply memorizing pre-set patterns. Also, there would be no trash mobs to clear out since they only serve to lengthen the amount of time the raid takes but pose no real challenge. 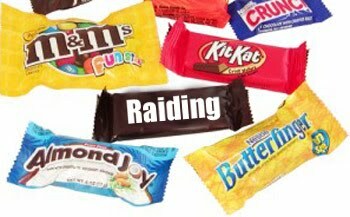 These bite size raids would have no lock outs of any kind. There would be no need to wait out a timer when I want to participate in a raid. Anytime I feel like raiding I would be able to start up the raid finder and be grouped up in a matter of minutes. As of right now this type of raiding doesn't exist anywhere. Why not? I know I would play it.